The SAS booth at #NRF13 is a popular place. One of the amazing things I’m finding about the National Retail Federation’s “BIG Show” is the incredible amount of experience and knowledge walking the halls. There are 10-, 20- and 30-year veterans of the retail world everywhere you turn. Two of those professionals – Office Depot’s Alan Adams and Kerem Tomak from Macys.com – presented a Big !deas session in front of a packed house on Monday afternoon. They discussed one of the hottest topics at this year’s event – cross-channel campaign management. Using a screen grab from the Pixar movie, Finding Nemo, Adams began by telling the audience the water represents a company’s customer data and the fish represent the various departments that exist. The focus on the customer through cross-channel campaign management was a common theme in this session. “Cross-channel campaign management uses a deep understanding of your prospects and customer to deliver the right message, at the right time, at the right offering, through an ever growing list of vehicles that is desired by the individual at any given moment,” Adams said. Amazingly, less than five hands in the audience went up when Adams asked if anyone was having success achieving multi-channel marketing. However, there were lots of nods when asked if they are trying to achieve that goal. True cross-channel campaign management requires two-way communication with your customers. With so many purchasing options, it requires retailers (and other industries) to understand how customers interact with their brands through multiple touch point, digital and offline, and then to use that insight to build a two-way communication channel, Tomak said. 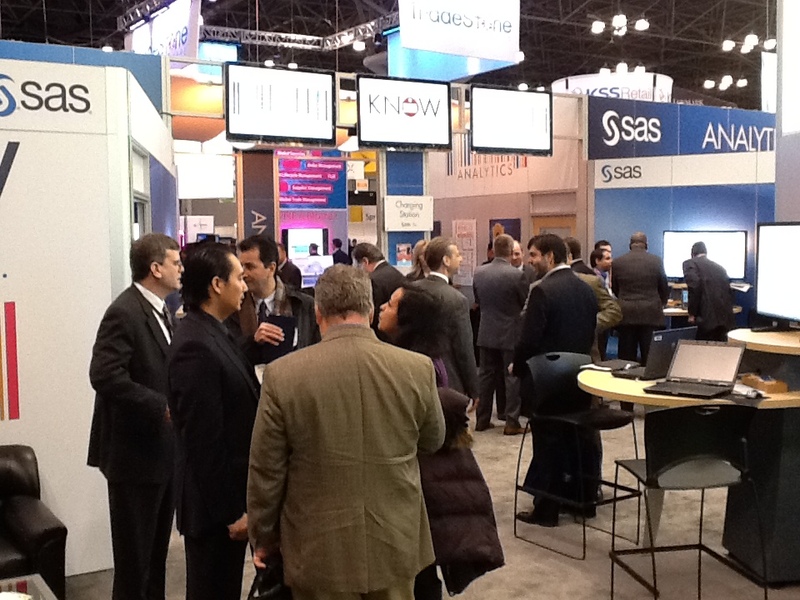 The SAS booth at #NRF13 is also a colorful place. 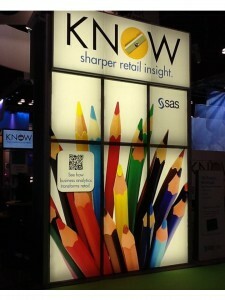 So how can retailers change how they interact with customers? According to both experts, the key is to organize your structure around the customer experience. Engage how they wish to be engaged, breaking down walls so each interaction is a single interaction with the brand. If a customer can’t get what they are looking for in a short amount of time, they’ll go to a competitor. Adams even half-joked that every customer is just one click away from not being a customer anymore. "That's why it's imperative that customers are at the center of everything we do." Thanks for stopping by and reading my blog ramblings! I'm a creative marketing manager with a passion for innovation, great leadership, cutting-edge technology and proper grammar. Opinions are my own. I've had the distinct privilege of working for a variety of great companies in a handful of different industries. It's certainly given me a wide perspective into the challenges that today's companies face in marketing their products, branding and connecting with their customers. In my spare time, I'm a husband and father of four very active kids. I try to stay active myself -- I've finished a marathon (4:03), a 50-mile bike ride and climbed a 14,000-foot mountain in Colorado over the last couple of years. 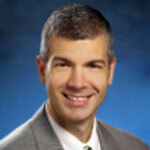 Follow me on Twitter at @scottbatchelor or LinkedIn at http://www.linkedin.com/in/scbatchelor.